Subscribe to get the latest! 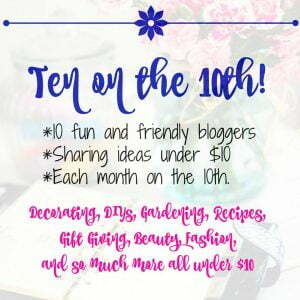 It’s time for Ten under $10, and today I’m sharing my favorite undereye concealer and the blending sponges that I use to apply it. 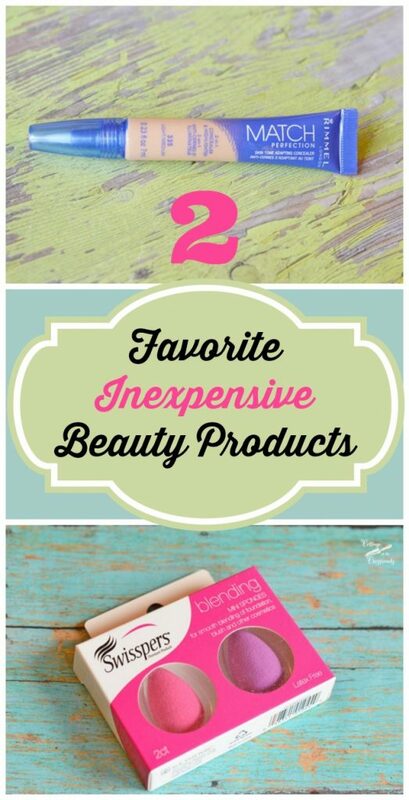 Both products together cost under $10 and have been a life eye saver for me! Don’t you just love it when you find something that works and you don’t have to pay a whole lot for it? I do, too! 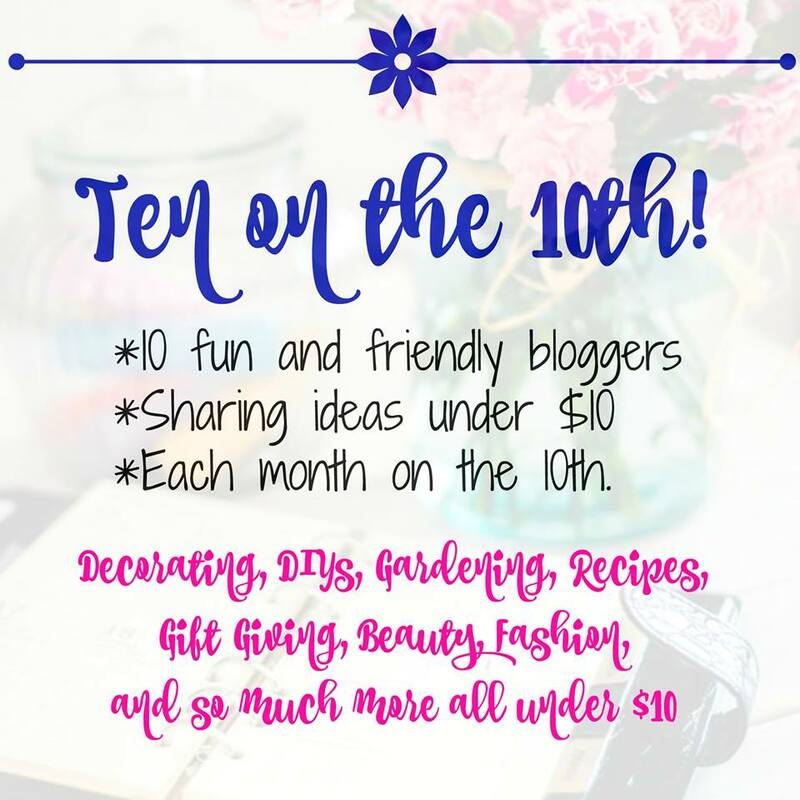 I enjoy reading about what works for others and rely on recommendations especially when it comes to beauty products because there are just so many to choose from on the market! For a couple of years, I have been in search of a product to hide my raccoon eyes which developed as my autoimmune eye disease progressed. Becoming very self-conscious about them, I have approached the beauty counter and asked for the very best concealer made. I remember coming home with one that cost about $25-$30 and being disappointed that it didn’t produce the results I wanted. My sister-in-law even gave me a bareMinerals powder concealer to try. I have used bareMinerals foundation for many years because I cannot use products with chemical sunscreens in them and bareMinerals has titanium dioxide and zinc oxide that I do not have a problem using. Their concealer did an ok job hiding my dark circles but tended to settle in my creases. So on a lark one day, I picked up this very inexpensive concealer by Rimmel when I was purchasing my favorite lip liner that they make. Y’all, it is only $4.12 at my local Walmart store and IT WORKS!!! 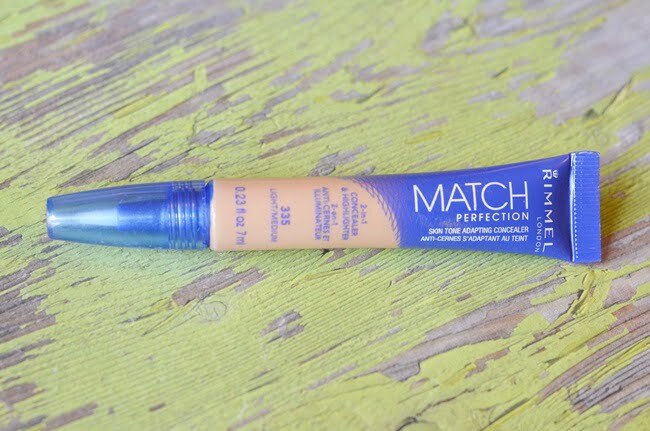 It is called Match Perfection Skin Tone Adapting Concealer, and the shade that I use is #335 light/medium. It is truly my all time favorite undereye concealer! Now I will be the first to admit that I’m not crazy with the applicator brush tip that it has, but at this price, I have learned to work around it. 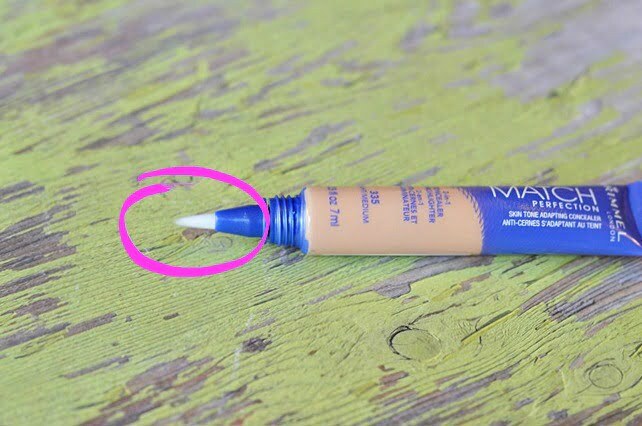 I have found that sometimes too much product comes out of the tip when you squeeze on the tube, so if you try this, be sure to squeeze in the opposite direction from your eyes! 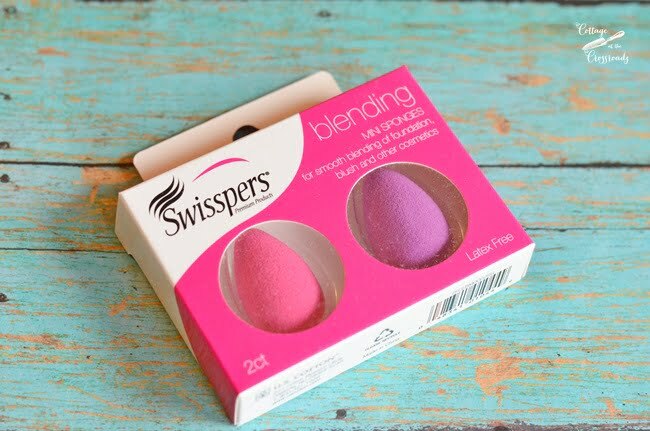 Next, I use one of these mini blending sponges to smooth it all out. 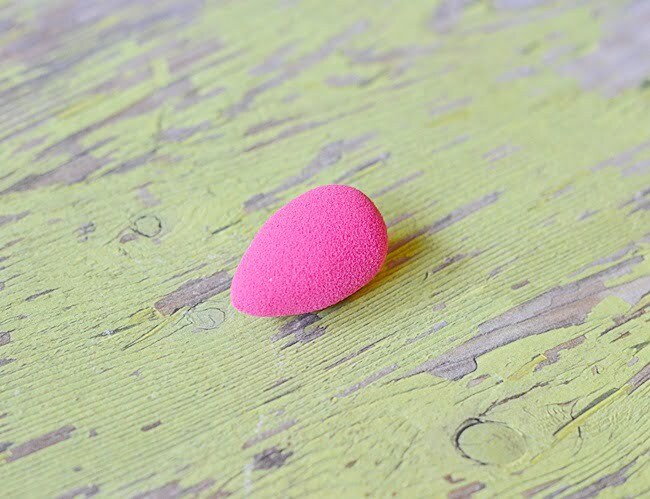 The tapered point of the sponge makes it easy to work the concealer into the corner of my eye and then to blend it out a bit onto my eyelid. Next, I go do something else such as making the bed while I let the concealer dry. 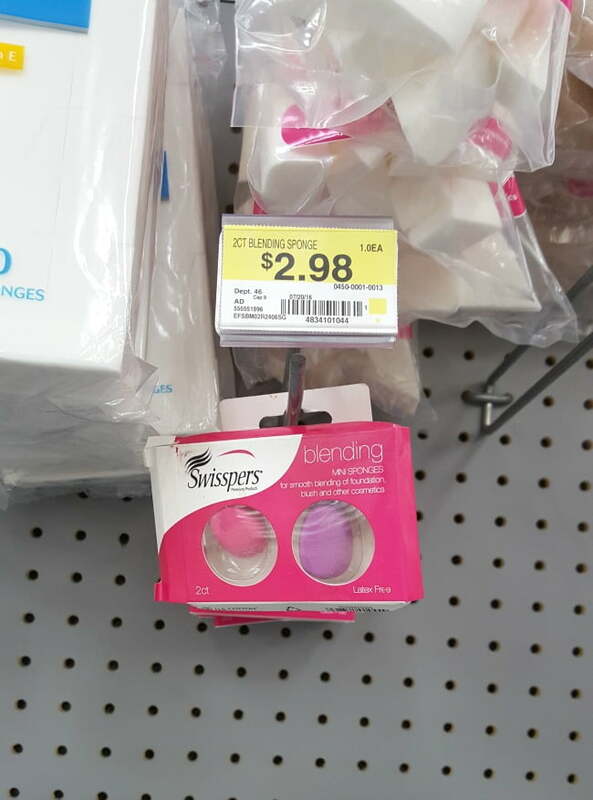 I find these little mini blending sponges at Walmart for $2.98! That’s a bargain in my book! After the concealer dries, I set it by brushing on a little of the bareMinerals concealer that my sister-in-law gave me. You could do the same with any loose powder, and I have found that setting it makes it last much, much longer. I’m so happy with this concealer that I may even try making some of those videos that all the bloggers are doing now! Hehe! You can find my new favorite undereye concealer on Amazon (affiliate link) HERE. Have you found any fun new products lately? Let me know in the comment section below. Now it’s time to see what my other cohorts have to share with us today. Just click the links below to visit them, too! My dark circles are a hereditary blessing I could have done without, too…Will pick this up on my next trip to Wallyworld! I have a plastic bin full of concealers that are less than wonderful and only one that is my go to… but, like you say…it’s $25 for a tiny tube!!!! Can’t wait to try this much more affordable option. Thanks! I bought the concealer, compact powder, loose powder and foundation and I love, love, love all of them. That undereye concealer really works as I have very dark circles under my eyes, so it is like a miracle. The other makeup I bought is very nice too. It makes my face look very smooth and even toned. I am 63 and very happy for your recommendation! So glad you like the concealer, too! I haven’t tried the foundation but I’ll give that a try next! Thank you for the tip on this concealer! I’ve been loooking for another, as mine was discontinued. The fight is real, I, too have autoimmune. Thanks! Eye concealer is one thing I always forget to do. Thanks for reminding me how necessary it is. I got the concealer but they didn’t have the makeup sponges at my Walmart. I might try Walgreens. Will let you know if I find them. Also let you know how I like the concealer. My nose is always red. Some days worst than others. Thanks for the tips. I’m always looking for a great concealer! Thanks for sharing. 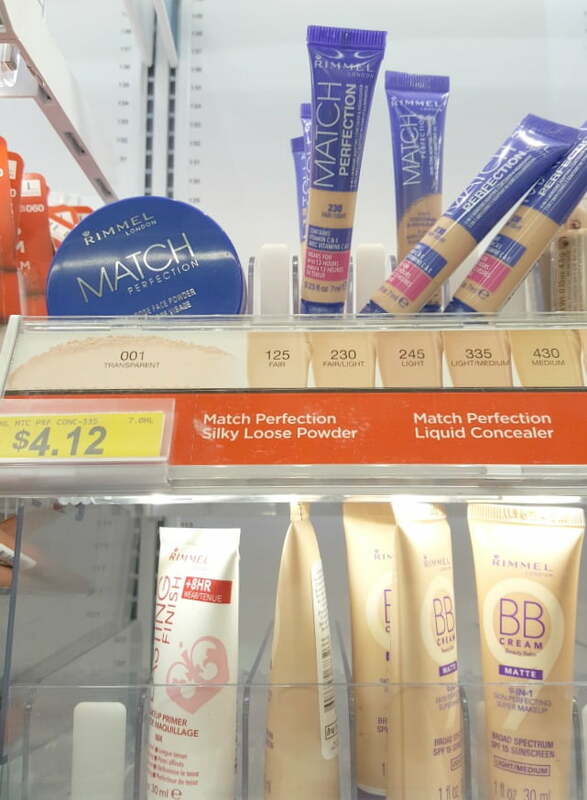 Next time I’m at WalMart, I’m heading to the make-up aisle for the Rimmel concealer! I have under-eye circles due to heredity and have always had a hard time hiding them. At just over $4, it is definitely worth a try! Thanks for your recommendations! Your timing…or mine…is perfect! 🙂 I need concealer right now so I’ll definitely try this! Thanks so much for sharing. This sounds great. Will have to try it!!! What great deals and they work! Excellent! I’m really glad you found something that works with your eyes. I am so allergic that I have a time finding something that works and then after awhile even that doesn’t work anymore. I’ll keep your products in mind for my next change! I just bought the concealer last month and I am really liking it. I will definitely go buy the blenders. I can’t wait to try them!!! Thanks for this great info. I’ll share! Hi there! We're Leo and Jane. Thanks for stopping by! We're renovating and preserving our family's 100 year old home place where we garden, complete a few DIY projects, and do some cooking. Please leave us a comment so that we'll know that you were here. NEVER MISS A THING! SIGN UP NOW! Cottage at the Crossroads is a participate in the Amazon Services LLC Associates Program, an affiliate advertising program designed to provide a means for us to earn fees by linking to Amazon.com and affiliate sites.